Charity marketing is getting harder and harder, products need to encourage people to part with their spare coins. 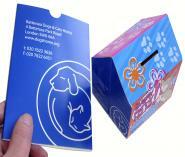 The pop-up charity collecting boxes add impact and attract attention to charity campaigns and appeals. 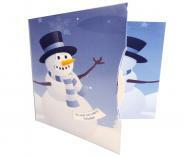 They are ideal charity direct mail ideas since they are sent out in custom mailers and leap into action immediately on opening. 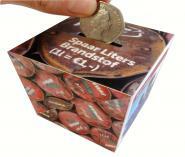 The Pop-up Cube and Pop-up House charity money boxes always instigates laughter and surprise making these charity collecting tins very popular for direct marketing for charity campaigns. 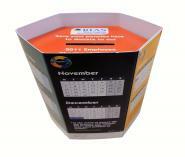 Cardboard collection boxes or charity box products are widely recognised by everyone and can be very persuasive for charities marketing. 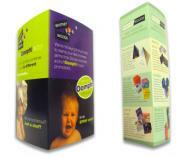 Suitable for a direct marketing for charity mailing or for retail shops and businesses to display, the Pop-up Cuboids are ideal charity promotional items. 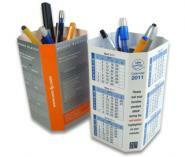 The “wow factor” on receipt and smart and stylish appearance that attracts donations are the two main reasons why these charity donation boxes are very popular indeed. 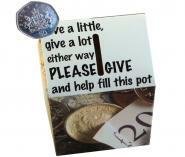 A more budget-friendly option for mailing collection tins is the Popupmailers.co.uk Self-assembly Money Box design. 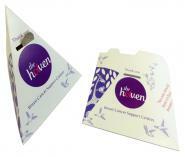 With eye-catching custom print marketing charities can be a breeze with these cost effective yet influential products. 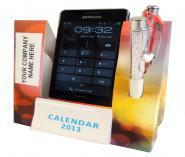 Desk-top products are charity promotional products that work as a constant reminder of a charity campaign. The Power Pen Pal has the pop-up qualities, bouncing out of a bold custom mailer when sent as part of a direct marketing for charity promotion. 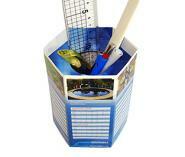 The Push up Pen Pal has the same eye-catching desk-top qualities yet is erected in a matter of seconds. 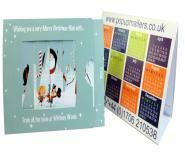 Marketing for charity can be more rewarding if the Pen Pal desk-top products feature highly in your fundraising supplies. Collecting tins and charity boxes whilst playing a vital part of your charity campaign, however they are not the only charity supplies you need. You need to seize every opportunity to broadcast your messages and make marketing charities a more pleasurable experience. 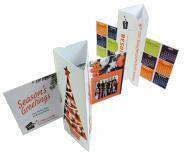 The Tent Topper and Tent Card are both “stand up and be counted” attention-grabbing products that will generate both interest and concern for charities marketing. 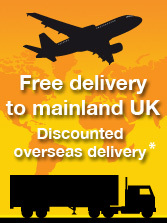 The result will be extra donations and gifts – mission accomplished! 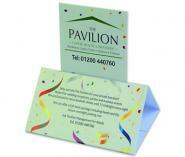 The Tent Card has ample room for printing on three sides and the Tent Topper can be displayed on a table or counter top showing both sides. 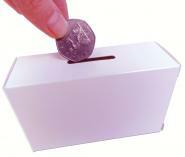 Support Charity Boxes For Fundraising With Charity Leaflets. Sending charity boxes for fundraising out alone is OK, but you can increase their impact with an accompanyting charity leaflet. Street marketing, guerrilla marketing, ambient marketing and even buzz marketing for charities can all benefit from interactive and thought-provoking products that carry a serious message. The Dissolving Picture family of products are charity marketing products that can convey “before and after” in a way that will not be ignored. 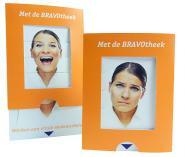 These picture changing items are ideal for cause related marketing. Another fabulous and very interactive item for making an impact and ultimately resulting in full collection tins is the Interloop® Mailer. The Interloop® Mailer has a “can’t put down” magnetism; to reveal the full message the product has to be turned and turned again and again. 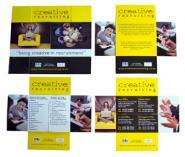 This is captivating for your audience and will make light work of your marketing charity projects.